Hubbell-Wiring Kellems® Form F2 1.13-Inch Dia white color-coded cord connector accepts conductor of size ranging from 0.25 to 0.38-Inch. It has trade size of 1/2-Inch. It features aluminum construction. This lightweight cord connector has thread length of 0.55-Inch and throat diameter of 0.64-Inch. Knurled finish ensures ease of use and maintenance. 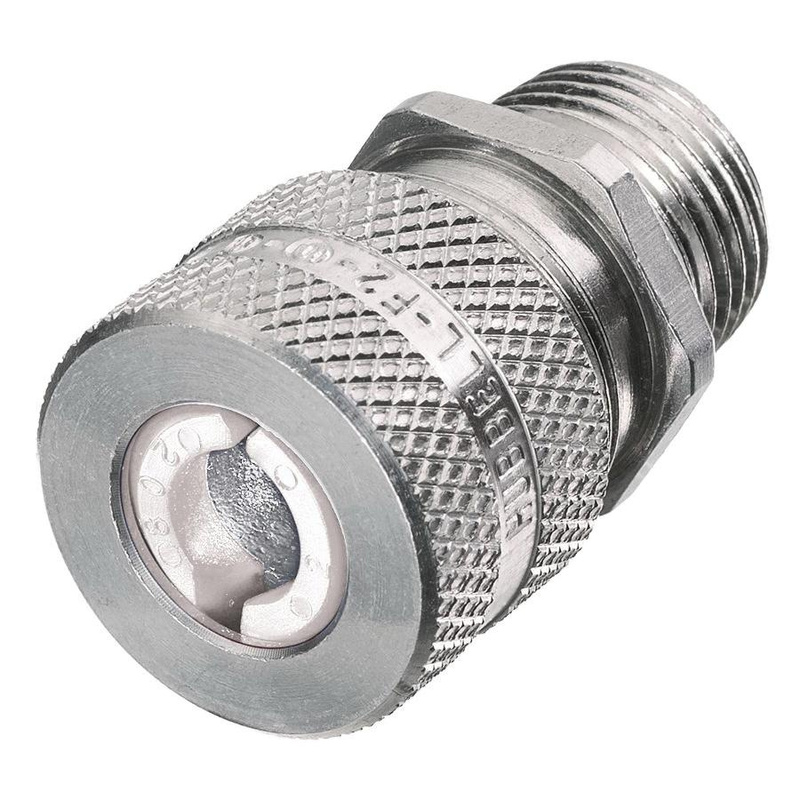 It supports knockout hole size of 0.86 to 0.91-Inch and withstands temperature rating of -30 to 225 deg F. Cord connector is UL listed, CSA certified, United States Coast Guard approved and NEC certified.